Family members are an important part of a student's transition to college and, ultimately, their career success. From helping fill out applications to completing financial aid forms, parents are already part of the campus experience long before their student sets foot on campus. 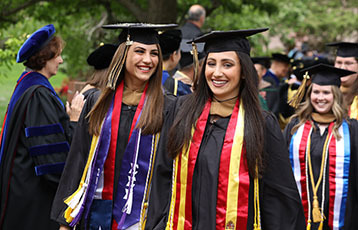 At Bryant, we encourage parents and other relatives to continue to be part of this time of growth and development. Support Bryant Every gift makes a Difference. Summer - Opens Wednesday, March 27 at 7:00 a.m.
Help other parents of first-year students by being available to answer questions during special Parent Chat events. To learn more or to get involved, email admission@bryant.edu or call (401) 232-6100. 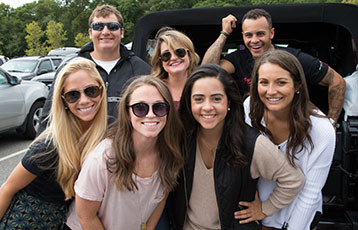 Create excitement and meet other Bryant parents in your area by hosting a summer send-off party. To learn how to host an event, email parents@bryant.edu or call (401) 232-6040. This section contains the forms required by the Office of Financial Aid to apply for financial aid, forms required to participate in the Work-Study/Student Employment Programs, and the approval form required for participation in the Study Abroad program. Please print out any applicable forms, fill them out, and submit the forms in person or mail/fax the forms to Bryant. 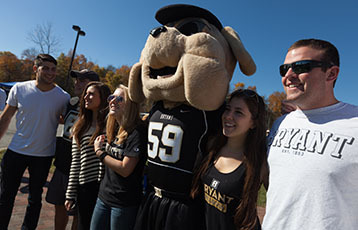 The Parents Fund for Bryant is part of the University's annual giving program. Contributions are designated to the Douglas '69 and Judith Krupp Library Fund, an important resource for all Bryant students. 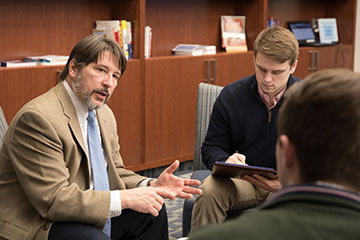 Parents who make a leadership gift of $2,500 or more (including corporate matching funds) are welcomed into The Bryant Parents Council, a group of parents and families who work together to strengthen the University and heighten its reputation and prominence. Council members are recognized in Bryant's Honor Roll of Donors. They receive special invitations to campus receptions and events, including the Annual Champions for Philanthropy Gala, the President’s Cultural Series, and the President's Cup Golf Tournament. You will qualify for a customized bookplate on the inside cover of a book in the Krupp Library bearing the name of your son or daughter – or your family name – and receive a facsimile as a special thank you. For more information call (877) 353-5667. There’s so much happening at Bryant! Keep track of upcoming campus events, performances, games, and more. Looking for a specific service? 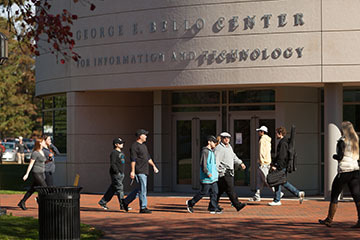 Our list of campus offices can point you in the right direction whenever a need may arise. The Amica Center for Career Education offers a host of tips for parents and families who wish to help their student with career and educational planning. Students completing their degree in Winter/Spring/Summer 2019 must apply to graduate by Dec. 1, 2018. This year's celebration is Nov. 1-3, 2019.